And how did the kadhi turn out? Where do you get homemade ghee from? You mean "you make it", right? You cleaned up the kitchen JUST for these pictures. I know. Ha ha. Yeah, and I can make better ghee than you. Any. Day. I just don't because I don't want you to get discouraged by my evident superiority in even this activity. I'm Awesome Awebhiroop. You can add a tbsp. 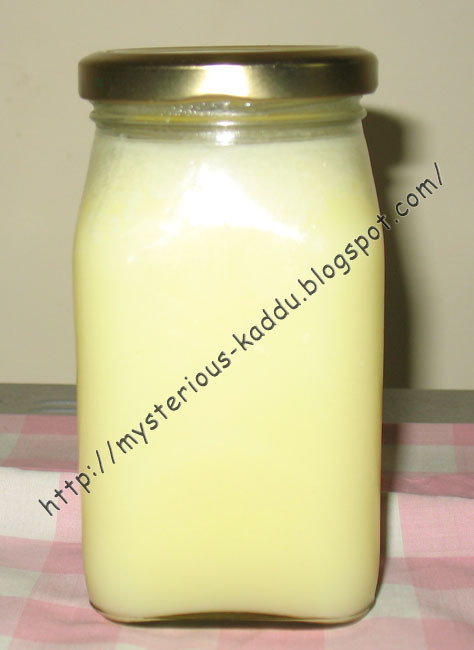 of sour curd to the malai mixture a day before making ghee. Leave it at room temperature for the whole night (in warmer spaces if the weather is cold). Follow the steps as you've mentioned above. Silly Saturday: Armed & Dangerous!